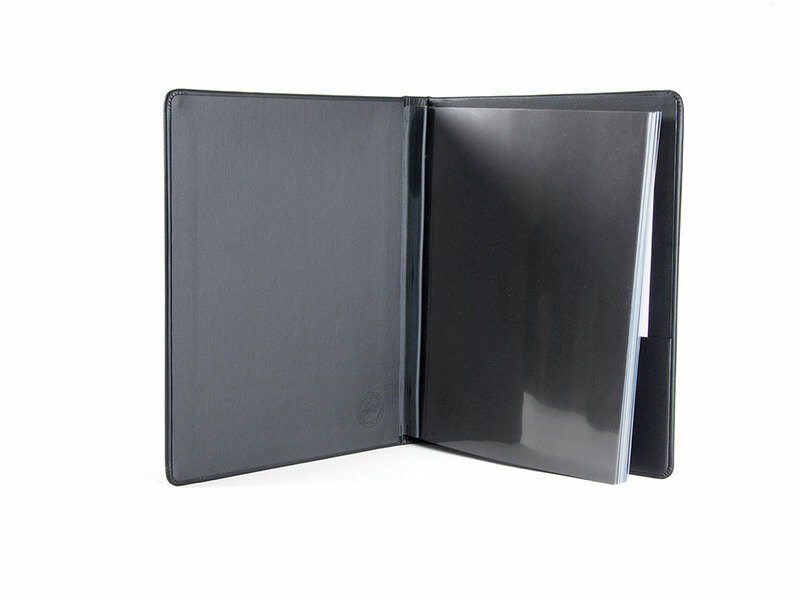 By far our most popular item, the book is the most reliable way to present your portfolio. 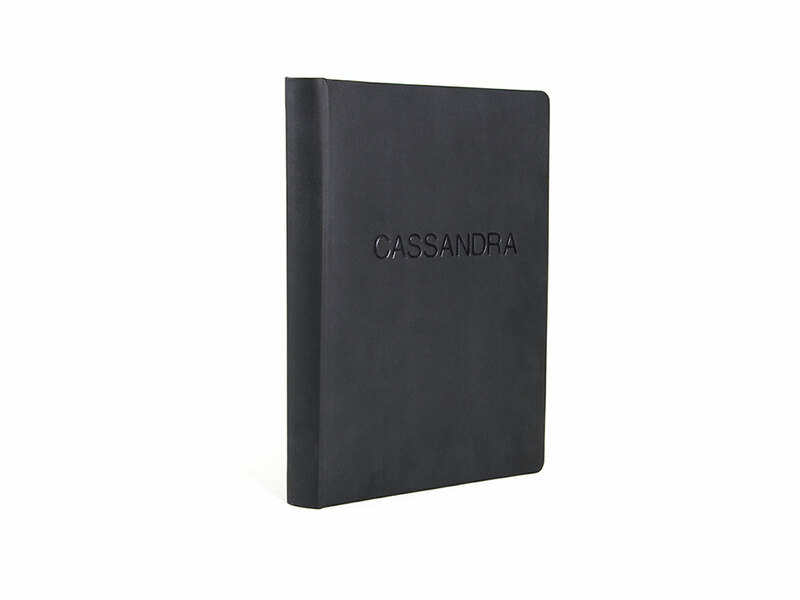 Every book is custom-built to fit your print size. Pages are held by screw-post binding. Capacity and width of the spine is based on the maximum number of prints/pages fitting in the book: we build this measurement into your book from the very beginning. All books come with a pocket on the inside back cover for promotional materials. 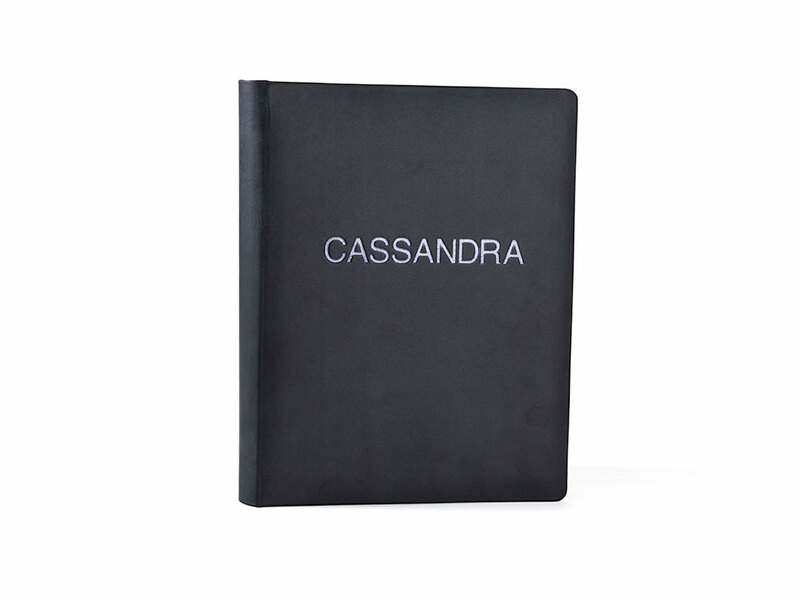 A scrapbook consists of separated front and back cover pieces, plus a cap spine. Scrapbooks are a flexible alternative to a book if you plan on radically changing the number of pieces or prints for every presentation. Choose between using plastic sleeve pages or a naked print. More information on PAGES.